This miso-glazed salmon is quickly becoming a firm favourite of mine. It’s speedy to make, delicious to eat and just as good for cold for lunch the next day. 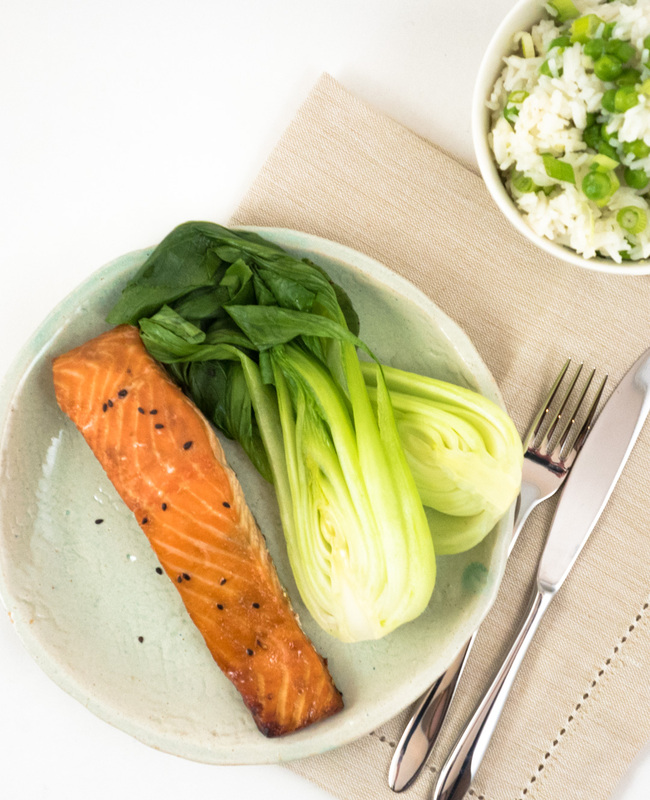 When it comes to quick cooking salmon is a dream and although delicious cooked as it is it’s ability to speedily absorb marinades gives you so many more post-work possibilities. 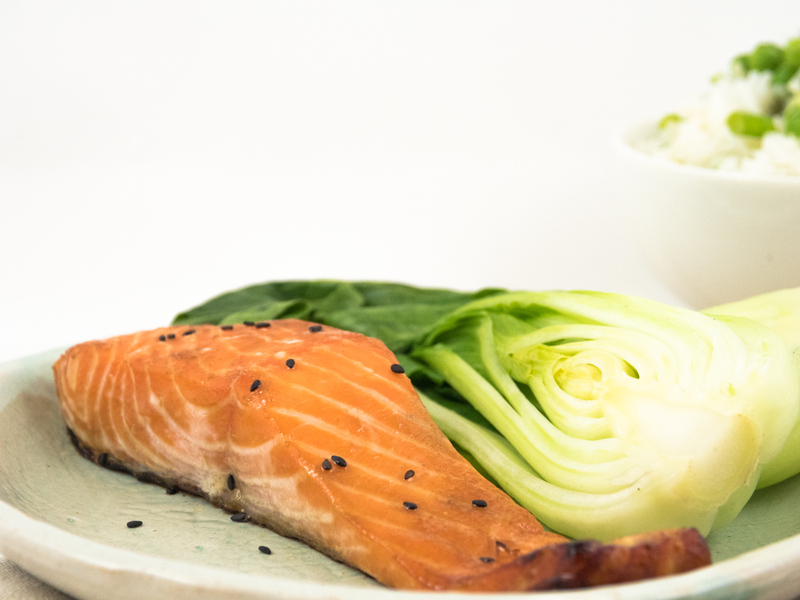 This miso marinade is best left on the salmon for 30 mins to an hour by which point it will have absorbed plenty of flavour but not too much of the salt and should be wiped off the fillets before cooking to avoid burning the miso. But don’t bin it- heated up it makes a great sauce to serve alongside the salmon. But the salmon isn’t the only star here- the rice is just as worthy of mention and is the perfect accompaniment. I have used Itsu’s recipe for a Japanese rice seasoning, added grated ginger, peas and spring onions and it’s brilliant. So good in fact I was eating spoonfuls of it from the fridge the next day. Apparently you can buy Japanese rice seasoning in some supermarkets but it’s easy to make at home by mixing mirin, rice wine vinegar, sugar and salt. So if you haven’t made seasoned rice before I urge you to give it a go! I made this for me and my brother last week when he suddenly realised he was meant to be having dinner with a friend- luckily we discovered it keeps very well and was perfect cold for lunch the next day. So if it’s only you and salmon comes in a pack of two cook both and enjoy a seriously good lunch at work the next day! As the salmon and rice cook make the rice seasoning. Mix together the mirin, rice wine vinegar, grated ginger, sugar and salt. 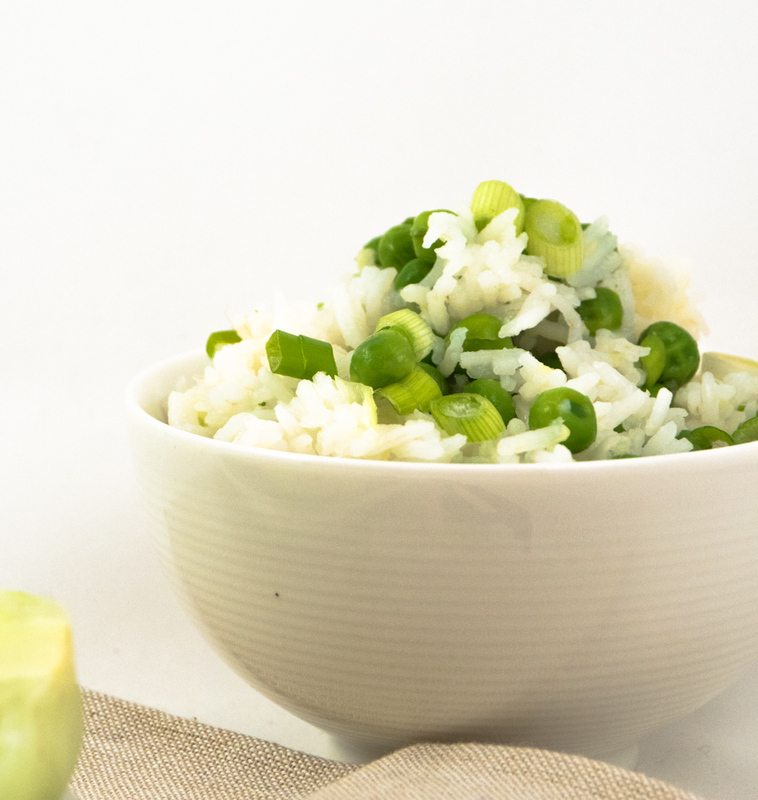 Once the rice is cooked fluff it up with a fork, add the seasoning, the peas and the spring onions and cook over a low heat until the peas are warm. Heat the marinade in a small pan until it just comes to the boil. Serve with pak choi and a sprinkling of black sesame seeds if you like.